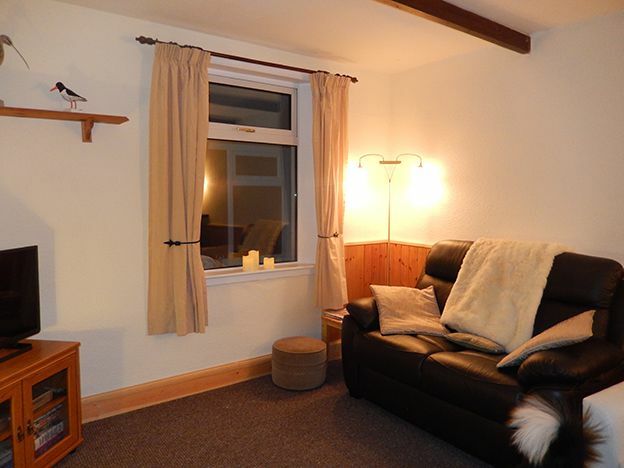 Breck Cottage is beautifully situated on the edge of Quoyloo, a small rural community in the West Mainland of Orkney. 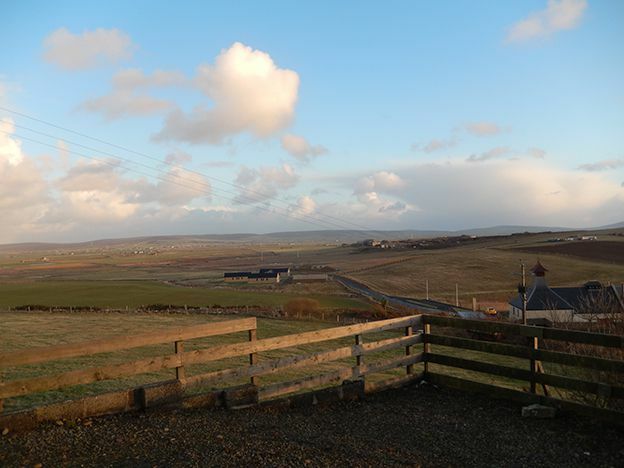 Sitting on a south facing brae it enjoys panoramic views over farmland and lochs with the Hoy hills in the distance. 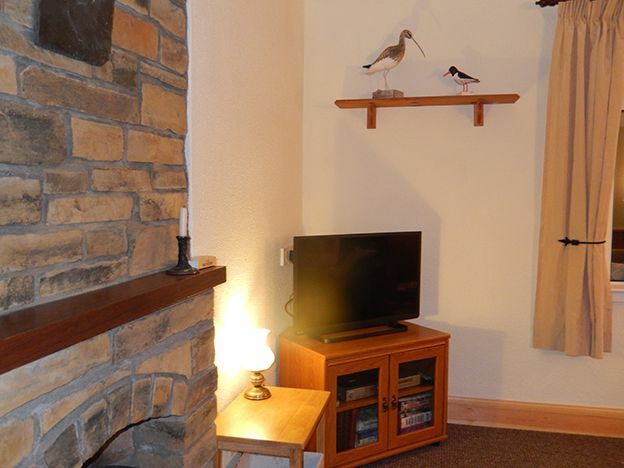 The curlew on our logo is inspired by the plaintive cry that can be heard year round from the cottage. 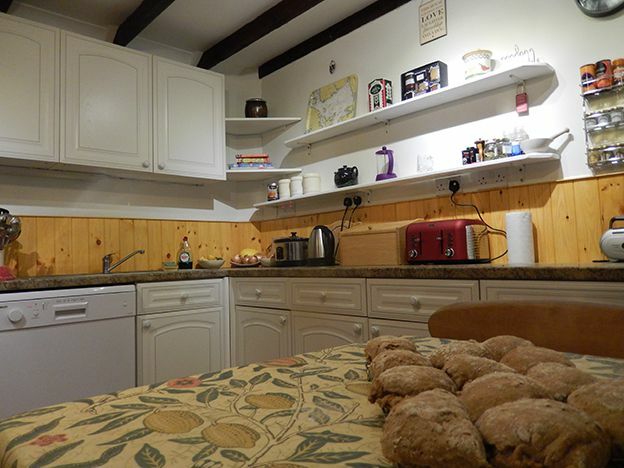 This newly renovated cottage offers comfortable accommodation for up to four people. 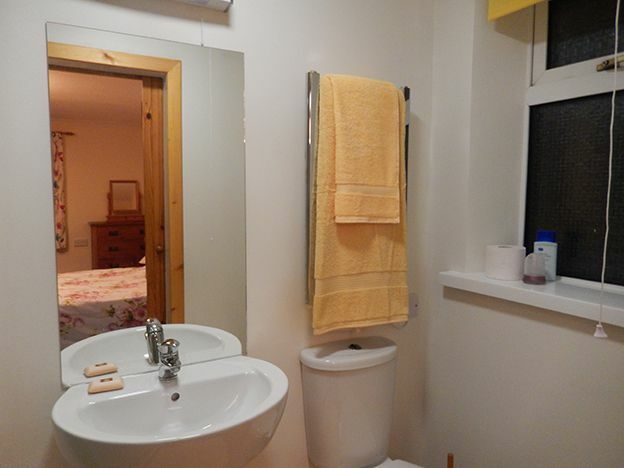 It comprises two bedrooms (a double with en-suite shower room, and one twin), a well equipped kitchen diner, a cosy snug with an electric stove, a family bathroom and a sun porch. 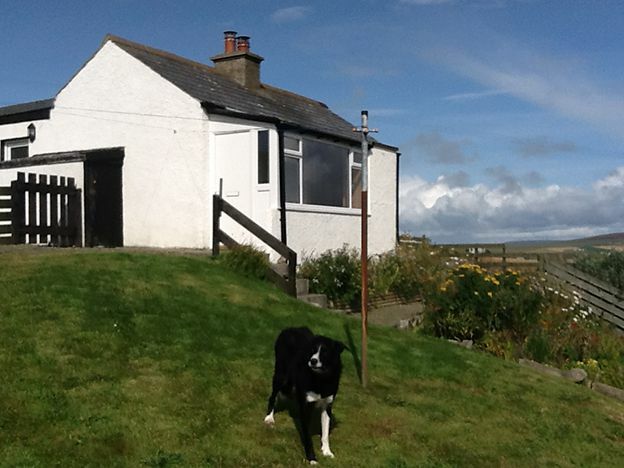 The south facing sloping garden is fenced so is dog and child friendly. 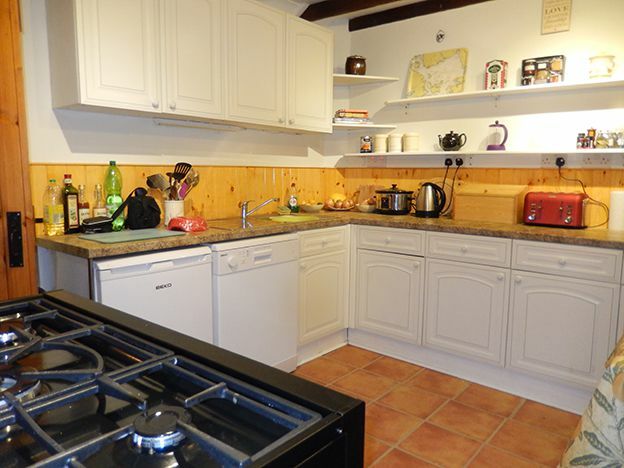 There is also parking for three cars at the front of the house and driveway. 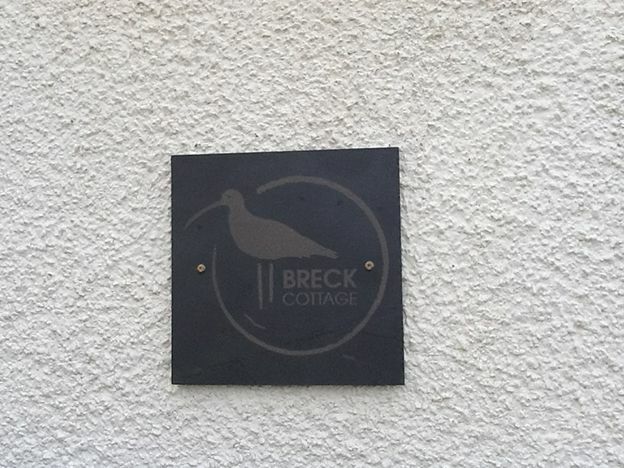 Breck Cottage is ideally situated for all that Orkney offers from archaeology to fishing to watching the wildlife. 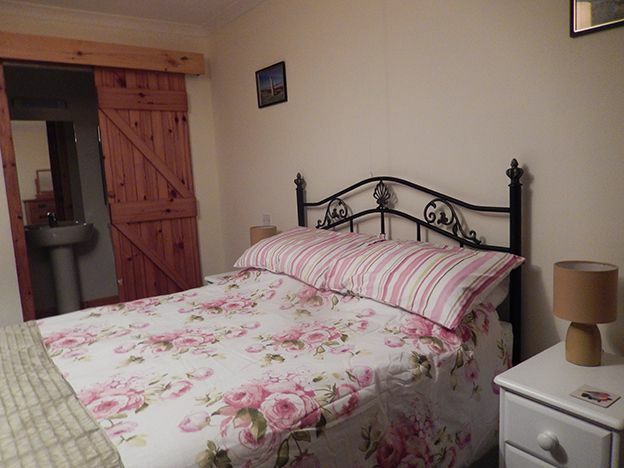 Here you can enjoy the delights of a fabulous rural setting whilst being close enough to amenities to ensure a relaxing and comfortable stay. 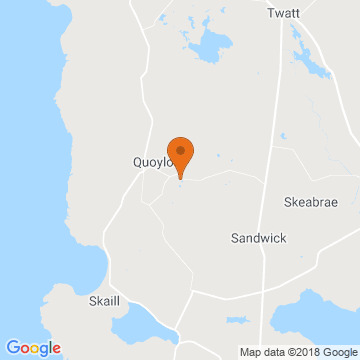 Skaill Bay is the nearest beach, just a four minute drive, where you can often spot seals and even otters. The village of Dounby with its local pub, post office, Co-op, butchers, hairdressers, gift shop, pharmacy and surgery is five miles away. 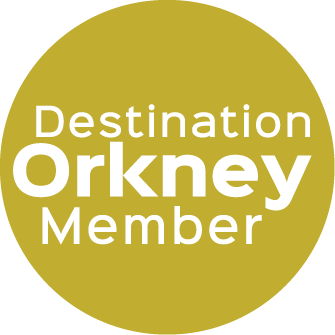 The award winning Orkney Brewery and visitor centre is within walking distance, and their café/bar is open during the day (in the season) for light meals and refreshments, and there is a gift shop where you can buy their beer and souvenirs. 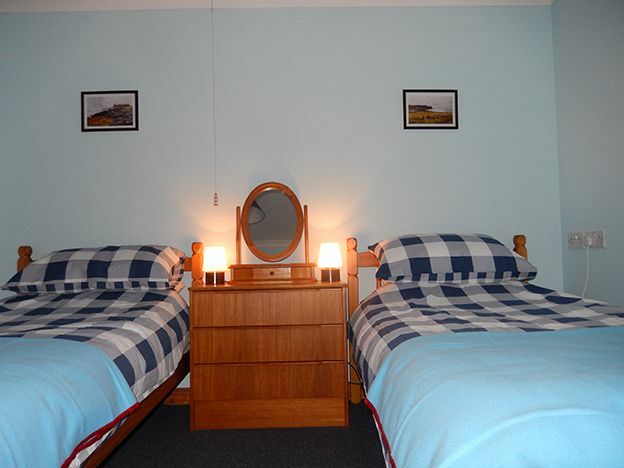 Isbister Stores is a short walk away where you can buy almost everything you will need for your stay. 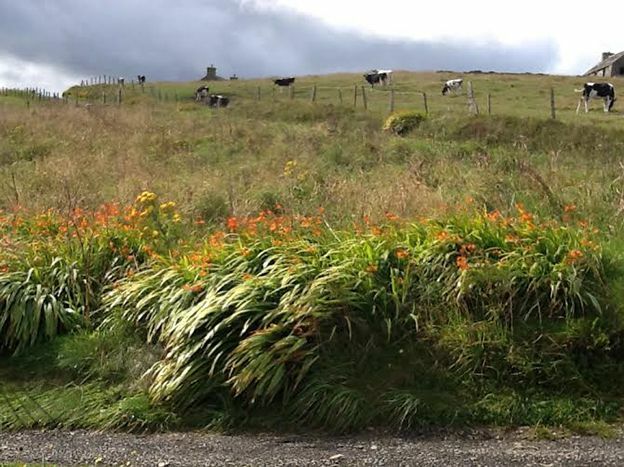 We are within ten to fifteen minutes' drive of many of the West Mainland archaeological sites and are pleased to offer a ten percent discount to professional or amateur archaeologists coming to work on local digs in the summer months. 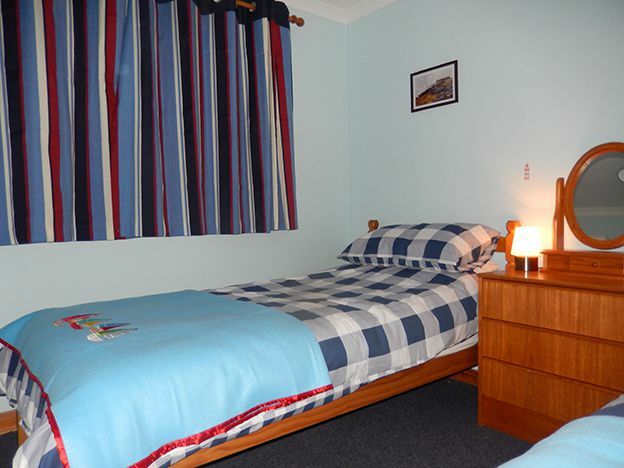 A welcome pack including milk, bread and some Orkney goodies is provided on your arrival.